VERY NICE AND BIG SPRAWLING RANCH THAT SITS ON AN OVERSIZED CORNER LOT. HIGH CEILINGS IN THIS WIDE OPEN LAYOUT. GREAT LIGHTING IN THE LARGE LIVING ROOM WITH FIREPLACE THAT SEPARATES THIS ROOM FROM THE FAMILY ROOM. REMODELED KITCHEN WITH NEWER CABINETS AND NEW APPLIANCES. HARDWOOD FLOORS THROUGH OUT MOST OF THE FIRST FLOOR ARE IN TOP NOTCH CONDITION.HUGE UTILITY ROOM. UPDATED BATH. LARGE OVERSIZED 2 1/2 CAR GARAGE. BIG FENCED IN BACKYARD. HARD TO FIND THIS IN ORLAND AT THIS PRICE. 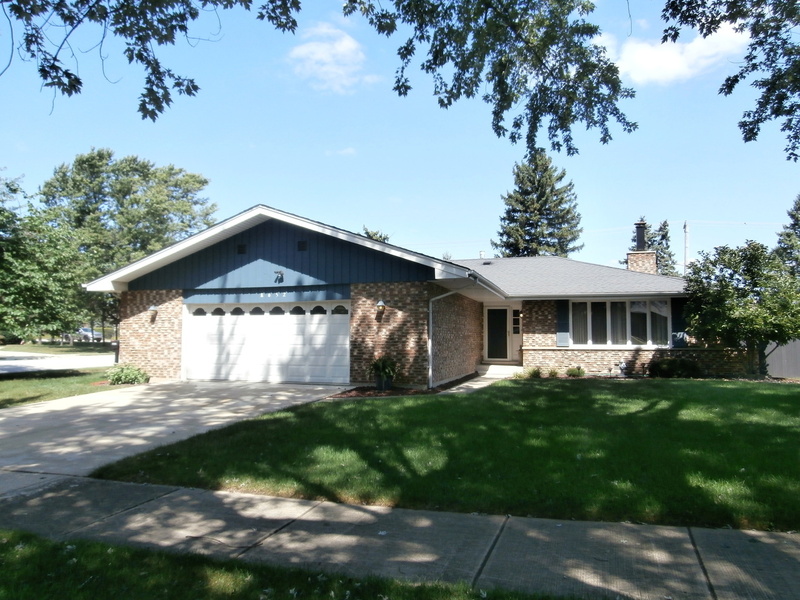 LOCATED CLOSE TO ALL DISTRICT 135 SCHOOLS AND CARL SANDBURG HIGH SCHOOL. VERY CLOSE TO METRA TRAIN STATION.